Earlier this week, we showed you the promos that serve as the faces of Intro Packs, but every set has a number of promos beyond those five. And, as a bonus, several of these are cards you haven't seen yet! Which ones? Read on! 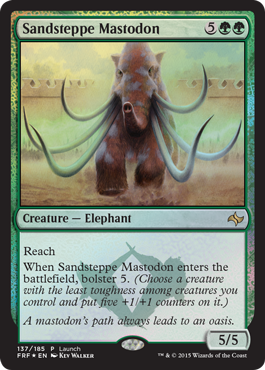 If you play in any Launch event February 23–25—including FNM, and on top of any other promos you might receive—you might just find your defenses bolstered by a certain Mastodon. 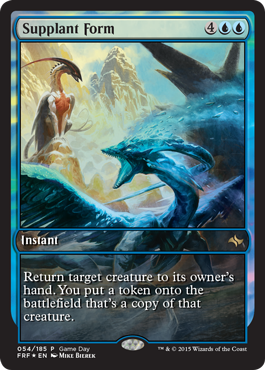 The weekend of February 14–15, 2015, stores all around the world will be holding Fate Reforged Game Day. 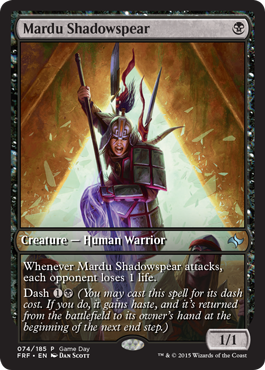 Just for participating, you can receive this full-art Mardu Shadowspear, a powerful one-drop that we're also showing off for the first time here. And if you defeat all comers in the name of your clan? 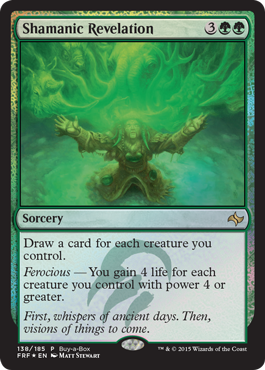 Then the Top 8 will give you an opportunity to secretly supplant your opponents, a card shown off today in The Week That Was. 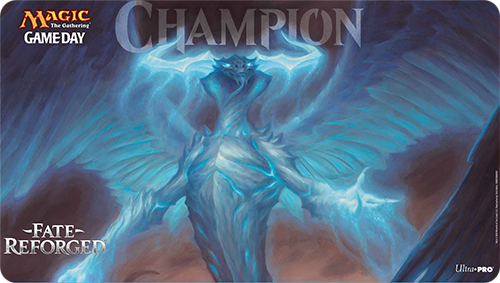 In addition, the winner of Fate Reforged Game Day will receive an exclusive playmat. Finally, stores will be able to provide a small number of the Buy-a-Box promo, Shamanic Revelation. The distribution is up to them, so ask your local store if you want to get your hands on a draw spell on steroids. Because why wouldn't you? Just look at this thing!